High above the beautiful lake of Derwentwater, there’s an amazing place called Surprise View. People tend to shoot it looking north, up towards Keswick, but if you clamber up a bit higher and look southwest, you get this. 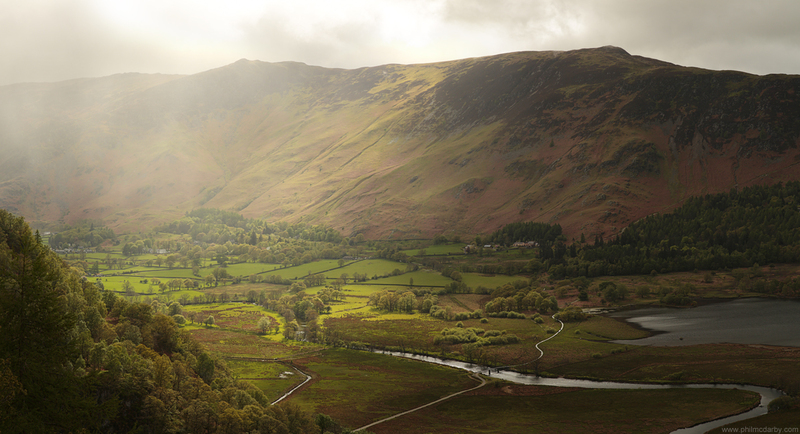 I heard recently it was the wettest place in the UK, so I’ve rarely met sunshine up there, but this day it bloomed through the clouds and rain for about 20 seconds – a great torch of light on the fields below.